SALT LAKE CITY -- Health officials say an elderly Utah resident has died after contracting the plague earlier this month. Charla Haley with the Utah Department of Health says local officials are still investigating how the man contracted the disease, but it might have been spread by a flea or contact with a dead animal. 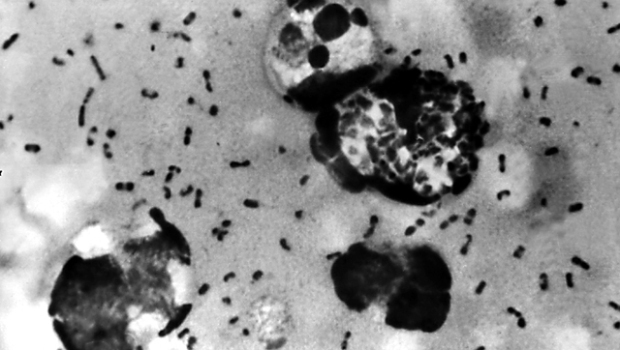 Plague does occur naturally in Utah, the department said. The disease is typically seen in prairie dog populations in southwestern states, but rarely spreads to humans. Haley says the Utah patient had been in rural areas or near campgrounds recently and could have gotten the plague there. Officials said the patient was a man in his 70s, but did not release his name or hometown. Word of the Utah patient's death came as the U.S. Centers for Disease Control and Prevention released new data on the number of plague cases nationwide. The CDC says 11 other plague cases have been reported in six states since April 1 -- a higher number than average. Colorado has had the most cases, with four, followed by Arizona and New Mexico, with two each. Between 2001 and 2012, the number of human plague illnesses in the U.S. ranged from one to 17 cases per year. "It is unclear why the number of cases in 2015 is higher than usual," the CDC said in this week's Mortality and Morbidity Weekly Report. How does plague spread in the U.S.? Plague is caused by a bacteria spread by fleas which normally live on rodents. A person bitten by an infected flea may start to develop symptoms within 2 to 6 days. Symptoms of plague include sudden onset of fever and malaise, sometimes accompanied by abdominal pain, nausea and vomiting. The mortality rate can range from 66 percent to 93 percent, according to the CDC. However, prompt treatment with antibiotics significantly reduces the risk of death. Of the 11 previous cases reported in the U.S. this year, the CDC says 9 of the patients were male. Three of the patients -- aged 16, 52 and 79 -- died.